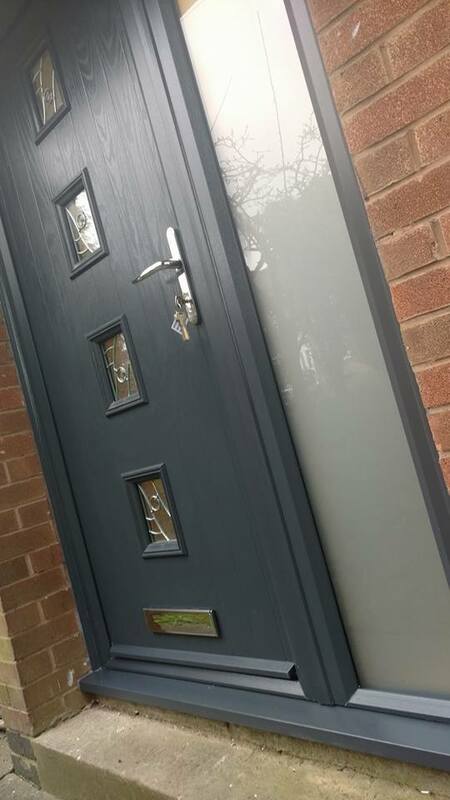 Custom designed composite doors supplied and fitted in Huthwaite, Nottinghamshire, by our team of experts. 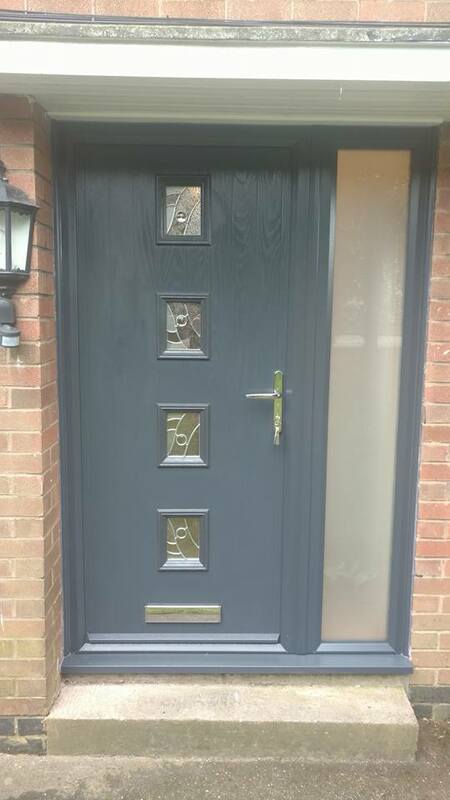 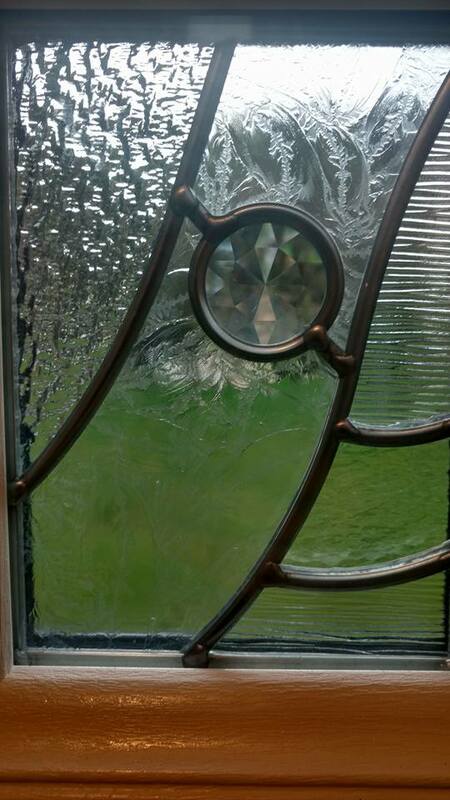 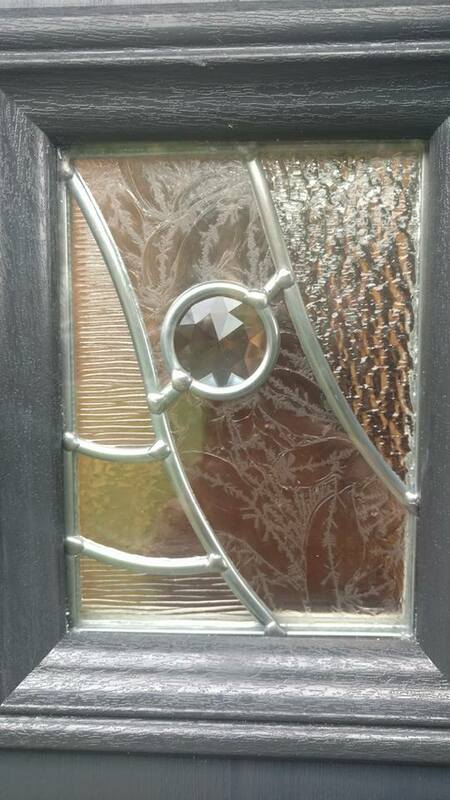 Anthracite grey with gold handles, 4 stained glass windows and a stylish sidelight. 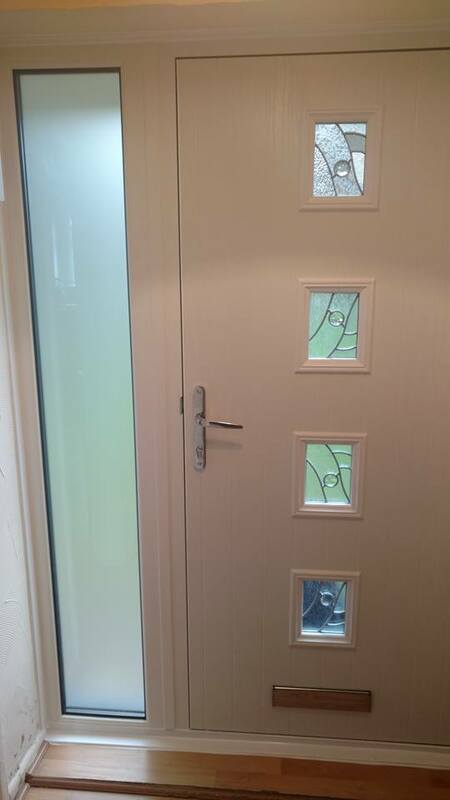 Interested in getting doors like this yourself? 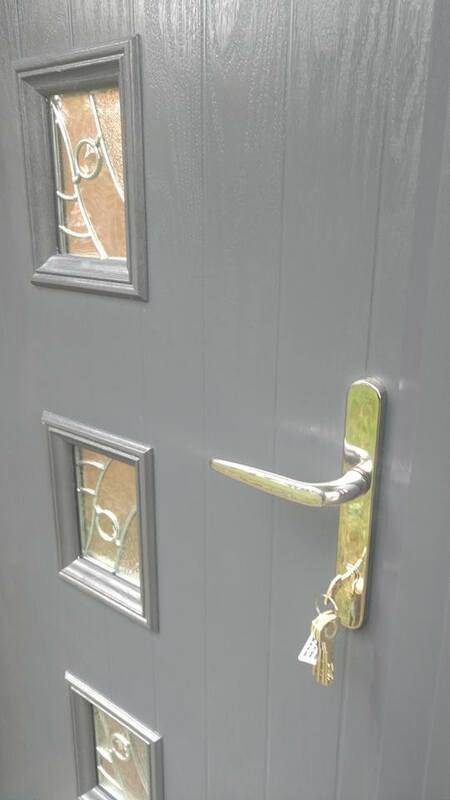 Give our friendly team a call on 01623 325000 or visit our design a door tool and design your very own, one of a kind door. 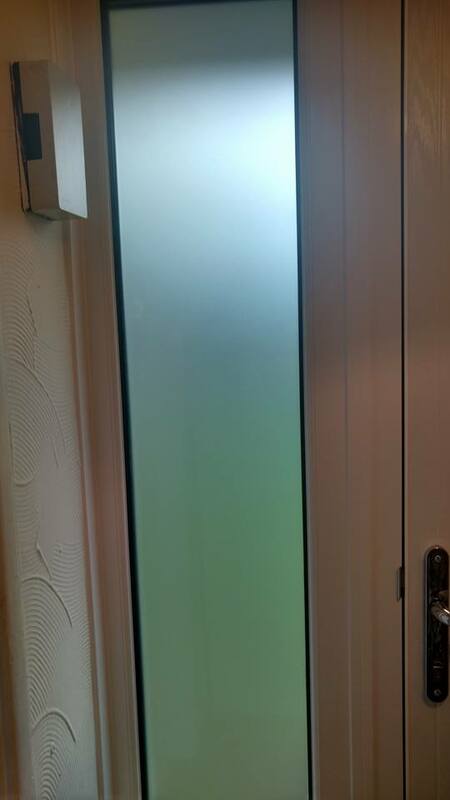 Fitting and surveying included at no extra cost.